CAMP BGEN OSCAR M FLORENDO, SAN FERNANDO CITY, La Union, Jan. 19 (PIA) -- Eighteen police personnel from Police Regional Office 1 (PRO1) and the 1stRegional Public Safety Battalion finished a seven-day seminar on Basic Computer Hardware Servicing and Troubleshooting offered free by the Saint John Bosco College of Northern Luzon (SJBCNL), this city. PSupt. Raul S. Romero, PRO1 Public Information Officer, said that the free computer training held from November 3 to 14 last year was in line with the outreach project of SJBCNL Department of Research and Extension Office and Technical Vocational Education Trainings (TVET). The training was conducted by trainers accredited by the Technical Education and Skills Development Authority (TESDA), and was held at the school’s computer hardware and service laboratory. SJBCNL vice president Brenda M. Gandeza, stressed that SJBCNL is committed to impart and develop technical skills, and provide quality education to the community. “The SJBCNL is offering free tuition for PNP personnel and dependents who wish to take the four-year Bachelor of Science in Criminology course offered by our school,” she said. In response, P/CSupt. 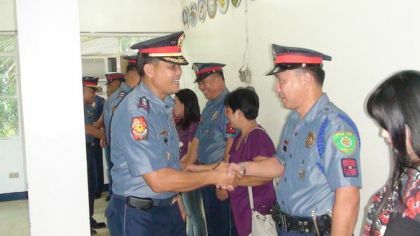 Franklin Jesus B. Bucayu, PRO1 Director, expressed his gratitude to the SJBCNL for considering PRO1 as part of the project, saying, “we are very thankful to SJBCNL for educating our personnel in computer hardware servicing and troubleshooting. With the knowledge imparted, our command will avoid expensive repair and maintenance of computers.